In my initial post ( Picatinny Power ) , I raised some questions I had about the system. 1. How are the accessories getting power from the “Gold plated contact pads” that are along the rail? The RIPR has an internal bus design drawn from our computer industry experience which provides power and data similarly to the popular USB accessories we all carry now. The entire system is armored with hard anodized Aluminum channels and then solid potted with 700+ degree compound. Pretty tough…it swims live, works frozen, et cetera. 2. Would users need to purchase some sort of adapters from you, in order to use their current weapon accessories? If so, what is the cost? We offer a number of ways to adapt what you already have; battery door conversions and kits with dummy cells that can be restored to original function instantly, direct rail interfaces that MIL-STD heads and tailcaps screw into that eliminate the “stick light tube”…plus more; if there is a demand for a particular product, we’ll make it happen. 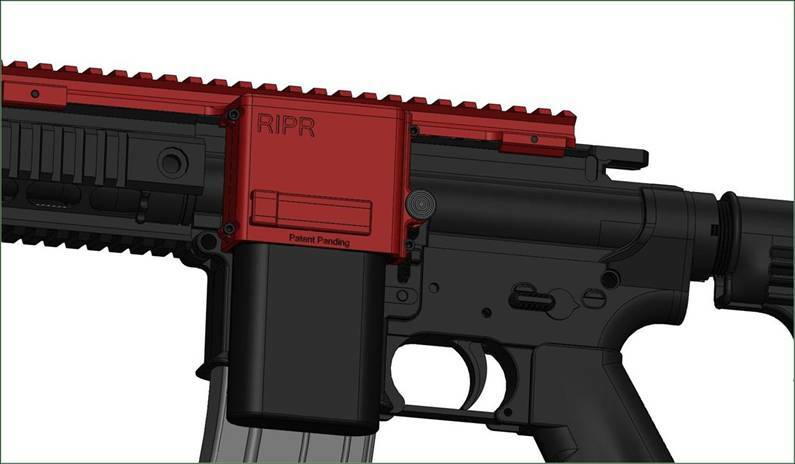 I have to add that the “Purpose Built RIPR Accessories” are VERY small and powerful…stand by for the Nov. 1st kickoff. 3. It says the rail is powered by a “standard AA” batery pack. Does that mean there is a handfull of replacable AA batteries inside that larger pictured unit? The Army suggested using the world class “L-91″ battery and being a “Yes, Sir!” operation we complied. The pack is Delrin with (8) L-91 (or any AA battery) and it is rated at 6v./6,000 mAh. For your techies, the Energizer manual paraphrased says: “At high load the CR-123 lasted 7 minutes, while the L-91s @3v. lasted 80 minutes…at -20 degrees the new CR-123s would not function at all, when L-91s would operate for up to 20 minutes”. So in summary; you carry fewer batteries on a mission, they last up to 8x longer in total, you have only one kind of battery, they are available worldwide, they cost a fraction of the price, et cetera…but fear not, we have Aerospace quality rechargeable battery technology, too. For a civilian version…you can’t beat never looking for CR anything ever again. 4. Can the weapon accessories still be powered with regular batteries in case of a catastrophic failure? On the issue of catastrophic failure, the RIPR basically changes nothing on MIL-STD equipment since to do so would require extensive requal. For example, our DBAL and ATPIAL adapters replace the battery door and battery. The wise troop would keep his backup options open by dropping the original cap in his pack and taking the CRs off dead enemy soldiers who are not equipped with RIPR in the highly unlikely event of damage to the armored, electrically isolated RIPr chassis and battery holder. If the RIPR pack is damaged, you take another out of your MOLLE and toss the old one…but to ease your concerns, it takes more to damage a RIPR than the majority of accessories can stand. 5. Are batteries able to be kept within the weapon accessories while being powered by your rail? 6. What is the weight of the entire system including the battery? Fully loaded it weighs less than a pound…the idea of SWAP-C (Improved Size, Weight, Performance & Cost) being to redistribute the weight away from the forend with purpose built devices (LDI, SureFire, Insight) and between your hands in the only dead spot on the weapon. The Rangers used to like Redi-Mags for the latter reason. 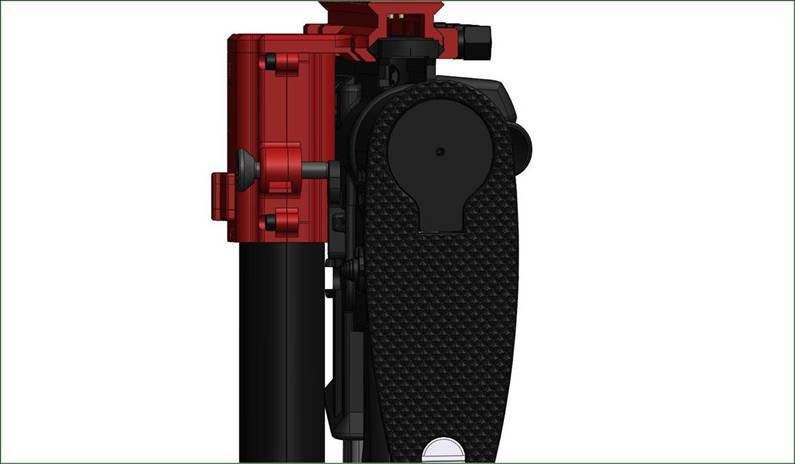 As an example of weight reduction; a stick light and tube laser with mounts weigh 20-28 oz., RIPR with a 350% more powerful light and green laser weighs 20.5 ounces…already breaking even and aiding the “feel” of the weapon, plus it adds a quick change battery and powers the other accessories as well. 7. What is the MSRP? They will kill me if I talk out of school…but it should street for less than a well known grip light people all seem to have. So we don’t yet know the MSRP.. but from his hint I assume he is talking about the M900 Surefire series which range from $560 – $700. 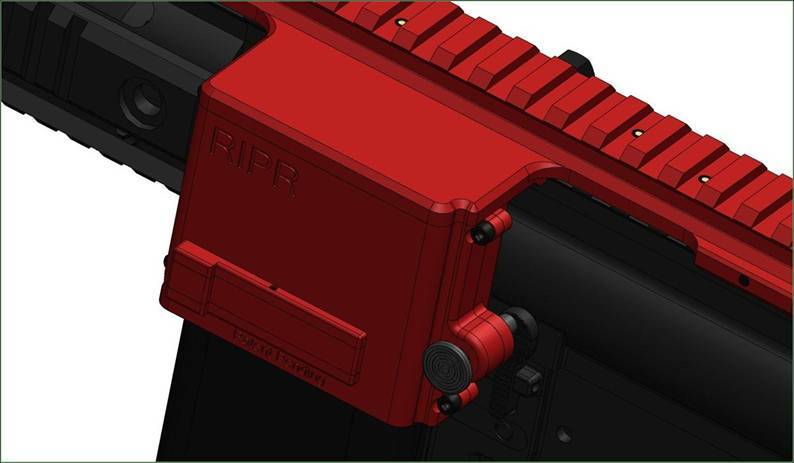 It will be interesting to see what the purpose built RIPR accessories will be going selling for. It would be nice if the decreased size (no battery compartment needed) would also substantially decrease the price. I suppose at first it will likely go the other way and cost even MORE money because it would be considered a lower volume specialty product. I guess we will have to wait and see. I wish them the best of luck with the product. Looks like it has a lot of potential. I’m looking forward to seeing some YouTube videos, and some torture tests of this system! Dibs on the first Aim-point T-1 adapter, the height seems just about La Rue’s APM mount height.